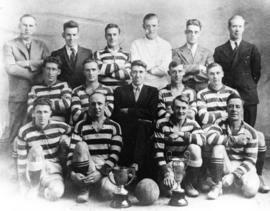 Item is a photograph of the Florence "Rovers," the North Cape Breton League Champions. 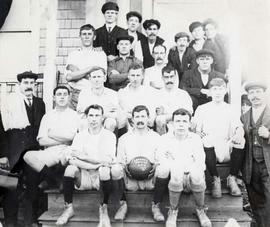 Item is a photograph of the members of the Florence football teams. Item is a photograph of the Florence School with a teacher and pupils. Item is a photograph of a group of Florence school pupils taken beside the school. Item is a photographic portrait of the Florence Travellers hockey team.